Oct. 24, 2017 6:30 a.m.
Quebec Justice Minister Stephanie Vallee says the recently adopted law that forces people receiving or giving public services to have their face uncovered is not repressive. Vallee held a news conference in Quebec City this morning to outline how the controversial law will be implemented on a practical basis. She says people getting on a bus or using the subway will not have to show their face unless they are using a card with photo ID. Once that interaction with the driver or the employee in the ticket booth is finished, the person will be allowed to cover his or her face. The legislation has been widely derided, with critics saying it targets Muslim women. 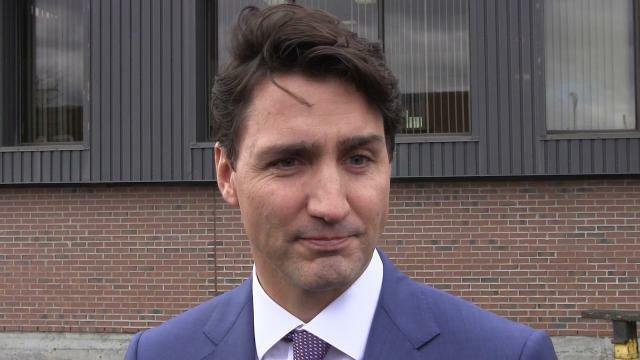 Last week, Prime Minister Justin Trudeau weighed in further on the Quebec law banning people from covering their faces while receiving public services. The prime minister says it is not the role of government to tell women what they can or can’t wear.